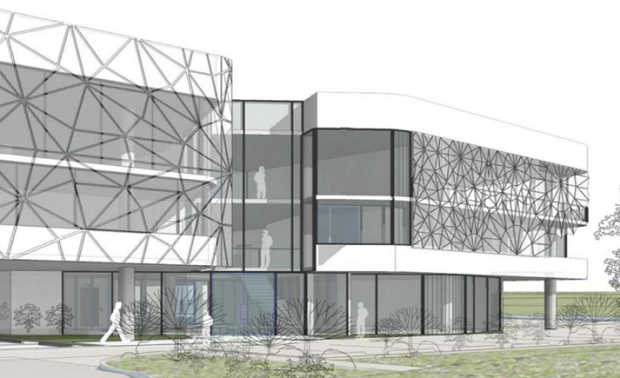 A new “tech hub” designed to deliver a slice of Silicon Valley to south-east Queensland is expected to be operational in October next year, with construction underway of the $14 million Gold Coast building. Located at 120-122 Siganto Drive at Helensvale, the three-level, 4,491 sqm building will be primarily home to one of Australia’s fastest growing private equity firms, AMMA Private Equity. The building will also house the head offices of AMMA’s key investments: Guvera, Sportkix, Tapp Commerce and App Investments. The building will also serve as an incubator for tech start-ups by providing serviced office space. AMMA Private Equity Global CEO Paul Jansz said he hoped the building would inspire the industry by bringing together local tech leaders and entrepreneurs. “The tech hub has a very funky tech look and feel – both inside and out. It will provide our team with state-of-the-art technology that will allow them to work on delivering the next generation of mobile innovations,” he said.